It happened when I least expected it. A moment of Christmas magic that snuck in to remind me what the season is all about. It's been a little overwhelming lately - in a good way. Christmas is everywhere. Christmas house tours that popped up on my favourite blogs since November. Instagrams sharing every gorgeous decorated detail. Cups of hot chocolate overflowing with picture perfect marshmallows. The trimmings, the lights, the shopping deals, the outfits... wonderful elements but not always the ones we'll remember. After Chloe was born, Christmas took on a new meaning. It became about spending time with family and creating memories together. We baked cookies and decorated gingerbread houses. We handmade gifts and sat on Santa's lap. 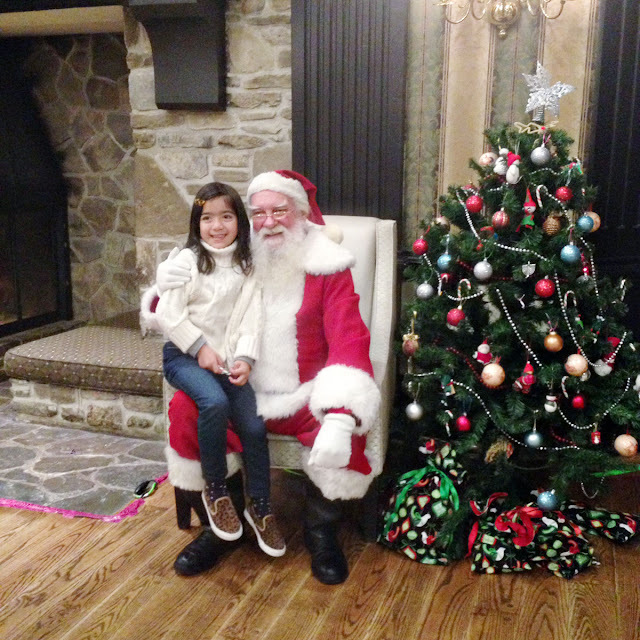 The photo above was taken at a media event (thanks IPR) and this girl was so excited when she heard Santa was going to be there. 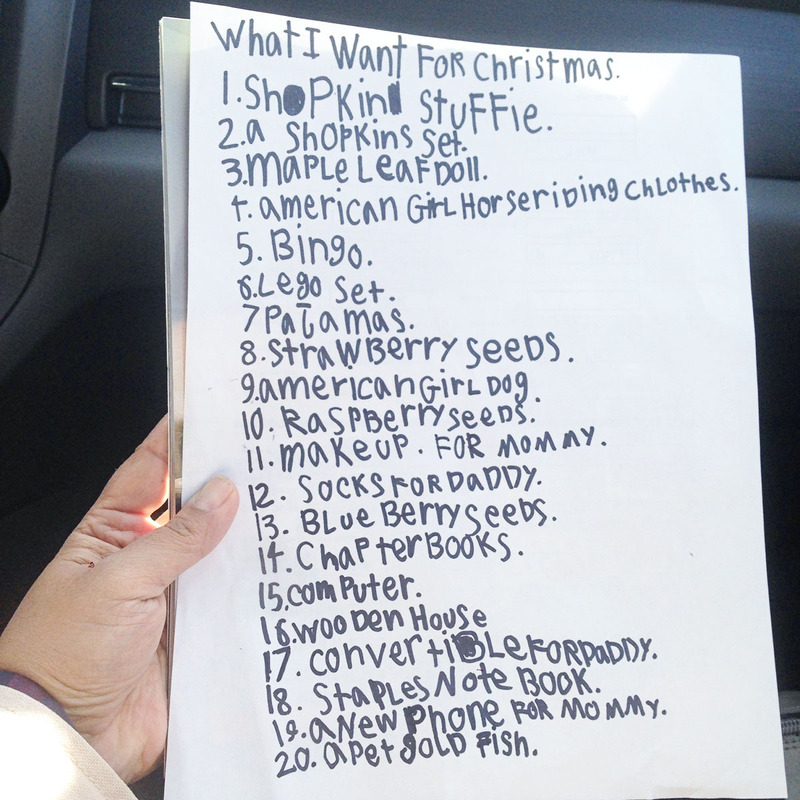 She sat at her desk and crafted her list because conversations with Santa are a serious matter. And while her list is a bit long (we're working on learning gratitude and thankfulness, ha! ), seeing gifts for Mommy and Daddy on that list made me teary-eyed. Among many things, Christmas is about thinking of others. How can you show kindness and thoughtfulness towards those special people in your life? She might not realize it but even a child can celebrate the joy of giving and understand that is where the magic lies. These photos might be grainy and out of focus. They're not as pretty as the pictures of my tree or the gift-wrapped presents. But they captured the magic and they'll be the ones I know I'll hold tight. As we head into this week before Christmas, I want to wish you moments like these... moments that delight and surprise you and leave an imprint on your heart.